According to Harvard research, this deficiency is one of the top 10 causes of death in USA. It decreases risk of heart disease and stroke, depression, hypertension, ADHD, joint pain, arthritis, eczema, infertility, miscarriage, raised triglyceride levels (a heart disease marker) and dozens of other serious conditions. There are tens of thousands of papers published and research done on the manifold, magnificent benefits of fish oil. Why would you not want to take just 3 softgels a day to protect yourself? 1. ADHD – this is very helpful in children with this problem, and would be advised instead of a drug. A child doesn’t have a drug deficiency, but a great need for omega-3 fatty acids which he may be short of – 60% of the brain is composed of fats. 2. ALZHEIMER’S DISEASE – imagine being able to stop this happening to you? The connection has been studied with convincing consistent results. Fish oil prevents the relentless decline in cognitive function and prevents brain atrophy in the elderly. 3. ANXIETY & DEPRESSION – the Journal of Neuroscience published an article in 2013 showing that fish oil can REVERSE anxiety and depression – and reiterated that it is utterly ‘critical during periods of brain development’. Starting your children early will ensure they won’t suffer later in life. It is a major treatment for depression. 4. 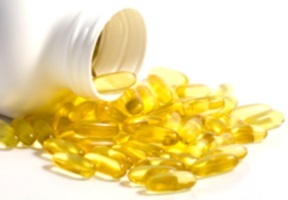 ARTHRITIS & RHEUMATOID ARTHRITIS – because of the anti-inflammatory nature of fish oil, fish oil is able to bring relief including pain relief to any part of the body without any side effects. 5. CANCER – Scientific studies show that fish oil has the ability to both prevent and kill various cancers including colon, prostate and breast. Fish oil can help to make conventional drugs more effective but it is also a stand-alone treatment. 7. DIABETES – diabetics cannot afford to be without fish oil as it reduces the risk of developing cognitive deficit as it protects the delicate hippocampus cells from destruction. It reduces oxidative stress, which is responsible for microvascular and cardiovascular complications. 8. EYE DISORDERS – Fish oil protects the eyes of diabetics but also the eyes of non-diabetics. It has been shown to actually reverse age-related eye disorders in many cases, such as age-related macular degeneration and neovascular age-related macular degeneration. It also prevents cataracts. 9. IMMUNE SYSTEM – this is a powerful immune modulator when taken regularly. 10. SKIN & HAIR – as it nourishes the skin and hair, skin is smoother, less wrinkled and more ‘elastic’. Look at people who have taken fish oil for years, and you will find they hav far less wrinkles than those who have not. EPA & DHA from fish oil contributes to thicker hair, prevention of dandruff, eczema and psoriasis, age spots and sun spots. Your internal health appears on your external skin. 11. FERTILITY AND PREGNANCY – known to improve fertility in men and women, it plays a key role in the mobility of sperm and health of the female egg. It is outstanding throughout pregnancy and breastfeeding and at these times a woman’s need is much higher so more should be taken. The fetal brain is in dire need of omega-3 fatty acids from fish oil which contains DHA. 12. PCOS & ENDOMETRIOSIS – fish oil has long been a go-to for helping to treat polycystic ovary syndrome and endometriosis – both of which can cause infertility. 13. WEIGHT LOSS – amazingly this is a fabulous supplement for weight loss! It reduces stored body fat excreting it via the kidneys. It also lowers triglycerides which contribute to fat storage. Remember fish oil is all about DOSE and QUALITY. Not just any fish oil will do – it MUST be high dose, and it MUST be molecularly distilled and of the highest possible quality. For outstanding quality fish oils, see my online store here – order online and have it delivered within a day or two right to your door!